OK folks, since we are in the midst of ‘land’ discussions, I thought it would be useful to share this chart (see featured image). It basically shows that South Africa has the potential to explore additional, unused land that is suitable for agricultural production. 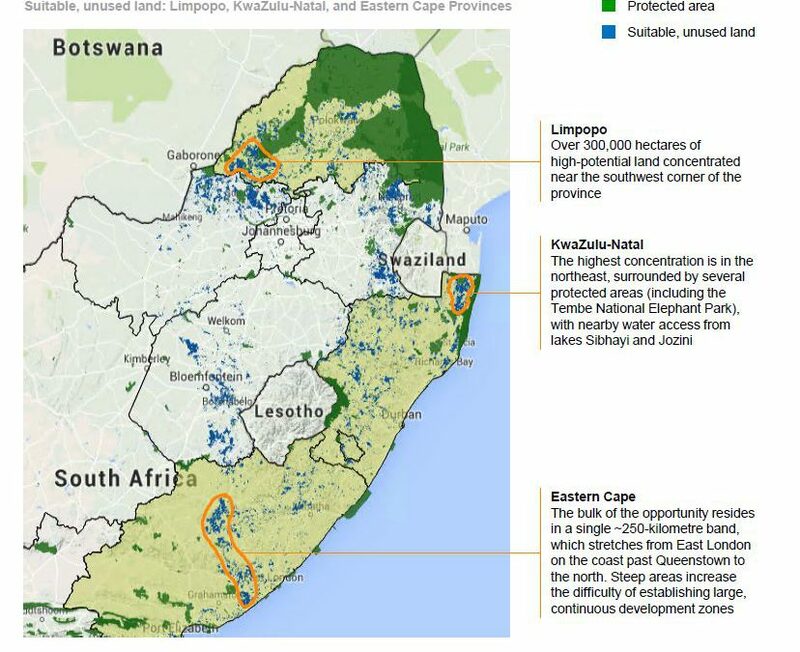 This is roughly between 1.6 million and 1.8 million hectares – mainly located in Limpopo, KwaZulu Natal and Eastern Cape provinces. This is high potential land which, with the necessary investment and conditioning of the soil, will expand national agricultural production and increase food security. The debate ought to shift towards how to bring this land into production and ensure that there is access to infrastructure, services and water for commercially viable farming. Two of the three regions in the chart have the potential for irrigation, making them prime locations to establish agriculture. Furthermore, the key subsector to focus on is horticulture, which is labour-intensive and there is a growing demand for horticultural products on the global market. Oh, these are not my numbers – I am leaning on the studies done by the Bureau for Food and Agricultural Policy in 2011 and McKinsey Global Institute in 2015.